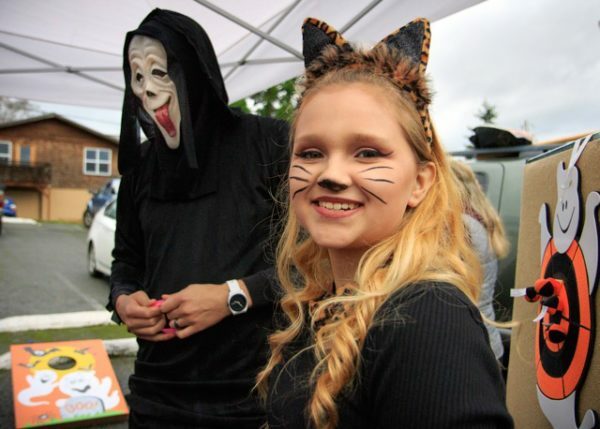 The Langley Mainstreet Association sponsored a “Spooktacular” Halloween party Monday afternoon. 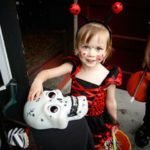 Costumed merchants and businesses provided treats for young and old in a community-wide family-friendly atmosphere, proving that Langley is one of the happiest seaside towns in the country. 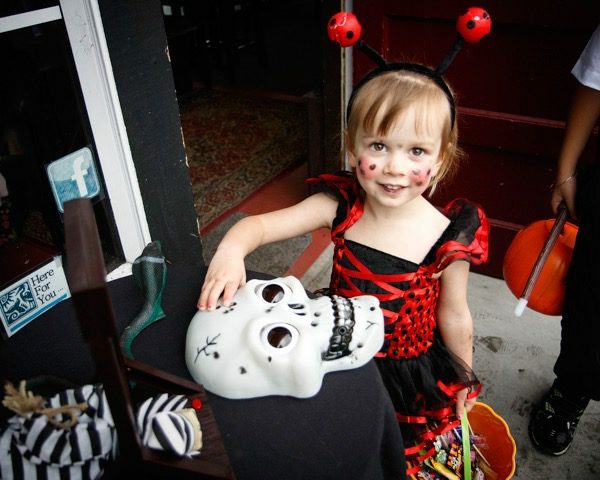 This ladybug was fascinated by the talking skull at Ott and Murphy. 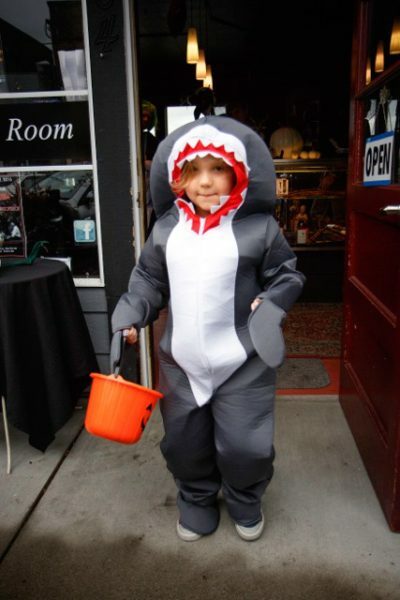 A hungry shark emerges from a feeding frenzy at Ott and Murphy with sugary treats. 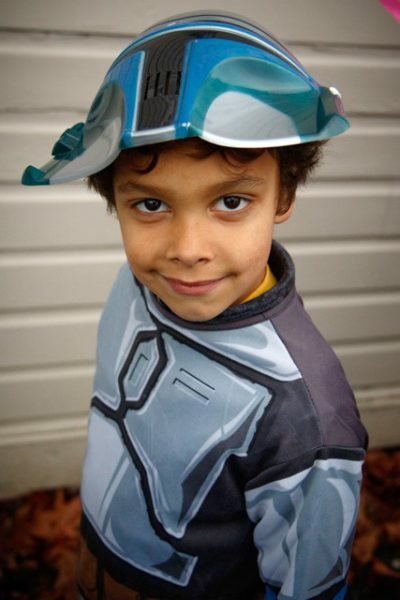 Father “Scream” is a source of family pride. 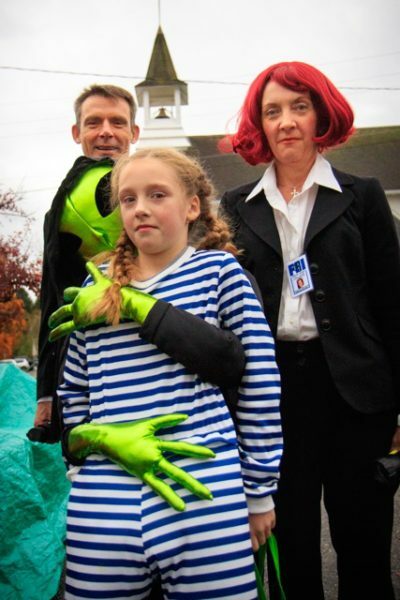 FBI agents investigate the kidnapping of a child by a green alien. 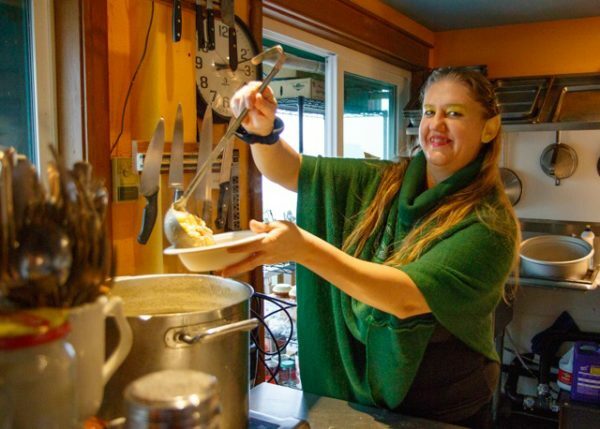 The elfin chef at Portico serves hot corn chowder on a chilly afternoon. 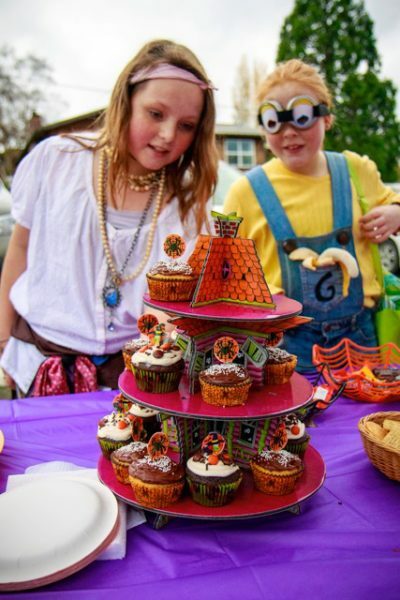 All were invited to a “Trunk or Treat” at the Langley United Methodist Church parking lot for a tailgate carnival, games, cider, and cupcakes. 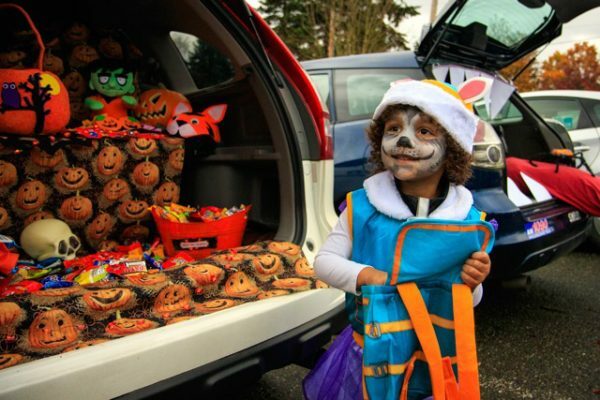 A happy creature feasts at a trunk-load of Halloween goodies. 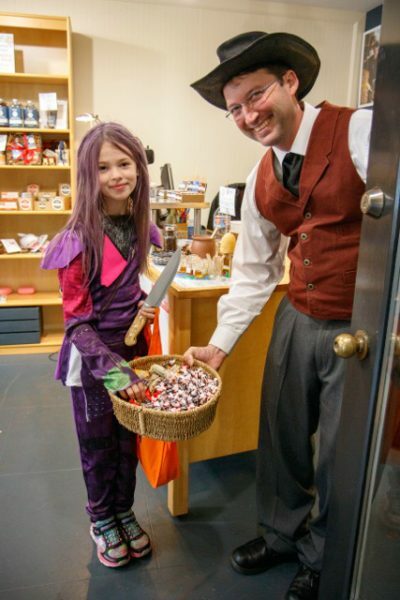 David Tiller distributes treats at Whidbey Island Natural. 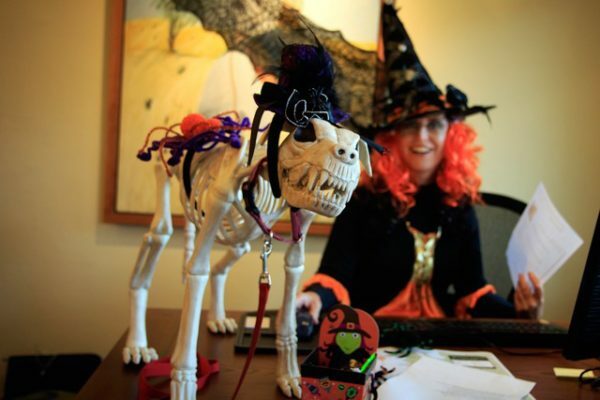 A fierce beast and a wicked witch stand guard over the candy kettle at John L Scott Real Estate. 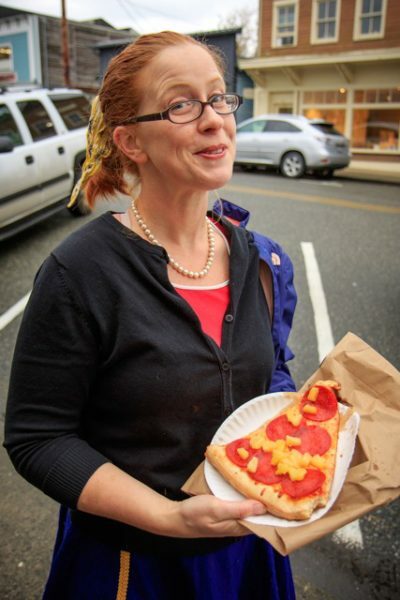 A hungry mom scores a slice from Village Pizzeria. 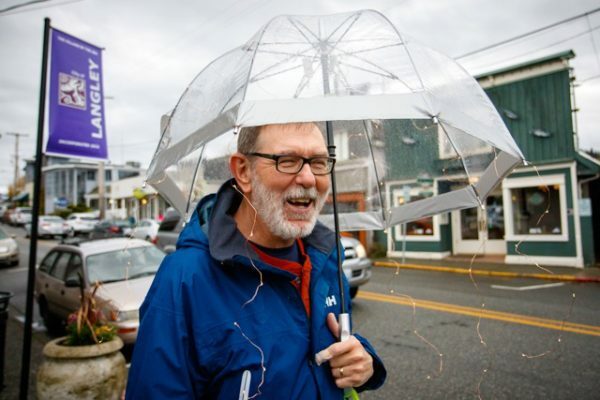 David Welton is a retired physician and staff photographer for Whidbey Life magazine. 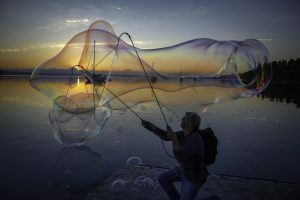 The photo: “Young Mary Poppins” is rosy crisp and lovely! Perhaps she can wiggle her nose and raise the Dog House! I love that one, too, Nancy! 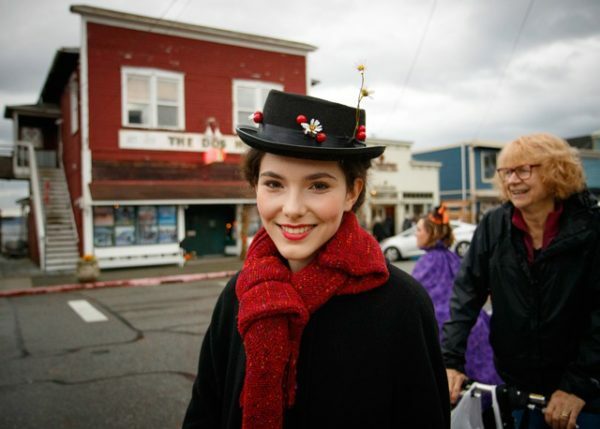 Langley comes to life for these events. I always look forward to the next. Could The Dog House be revived if 1,000 people chanted “you gotta believe”?